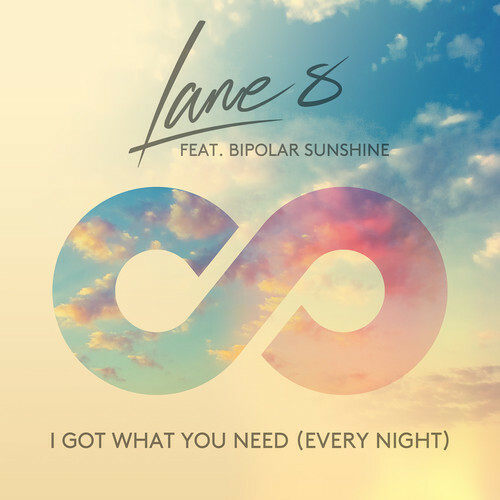 Lane 8 first appeared here over two years ago with his lush house sound and ear for melody, since when he’s moved to Europe and started releasing tracks on Anjunadeep. This boy’s on the verge of getting really big. So I thought I’d best grab a word before he goes global. And there are two new tracks to listen, including a remix for Eric Prydz. 1. In the two years since our last interview you’ve changed continents, moving from San Francisco* to Leipzig, and are now released on Above & Beyond’s label. What feels to you to be the biggest change? The craziest thing for me is when I DJ and people actually know my music ! It’s a total trip to hear people singing along with “Nothing You Can Say” when I play it in a club, for example. I never intended for that to be a club track but quite often it’s the biggest track of the night in my sets. But to finally get some recognition on that side of things is extremely rewarding and makes it all worth it, to be honest. It’s also a big change to play in Europe, compared to the US – it’s a big challenge in Europe, I suppose because the competition is so much higher here. It can sometimes be very humbling to play alongside high-level talent in cities with an established and developed club scene. At the same time it keeps me on my toes and I feel I’ve improved a lot as a DJ since I’m here in Germany. 2. How do you think that your music has changed in that time? Of course my music has changed quite a lot, as my tastes have changed too. Initially, the Lane 8 tunes were quite funky and even influenced by electronica, although they always kept a 4-4 beat. These days my music is deeper and less disco-influenced. It’s really because my interests changed over that time, in 2012 I was really enjoying Todd Terje or Flight Facilities, whereas now I’m more likely to listen to David August or Kidnap Kid, and I think my music reflects that. 3. You’ve previously said that Pete Rock was your biggest musical influence and your classic remix is Do or Die’s PLMAY. How do you think that hip hop/rap background comes out in your work? I think an appreciation for sampling comes through in my music – while the obvious samples in my work are the vocal samples, I’m also using lots of “micro-samples” of little drum hits and effects, which I think gives the music a little bit of class and quality that is very difficult to achieve just using synthesizers and drum machines. With that said, I think Pete Rock was a big influence in my early years of producing music, and maybe he’s not always influencing me as much these days! 4. You were originally avoiding releasing stuff on labels, what about Above & Beyond’s label made you change your mind? What started as just agreeing to release my track “Be Mine” on their compilation Anjunadeep:05 developed into the best possible working relationship, to the point where I’ve taken the Anjuna crew on as management, and am working with them on a daily basis. They are simply great at what they do, and we share many of the same tastes and sentiments about music, which makes it a no-brainer to continue working with them. Although I think it’s important for upcoming musicians to experiment with self-releasing in the early stages, I think once you get a chance to work with a great label, you have to take it. There are still so many key areas where a good label can help you reach the coveted “next level” – a lot of things which are very difficult to do on your own while also having time to make and perform music. 5. What are your plans for 2014/15? Right now we are extremely excited and focused on my new single with Bipolar Sunshine, “I Got What You Need (Every Night)” which is a vocal version of my track “Every Night” that came out on Anjuna earlier this year. It’s coming out through Anjuna in cooperation with Ministry of Sound, and we’re hoping for quite a big impact! Aside from that I’ll be touring a lot, working on new music, the usual stuff. I have a few tunes coming out on the newest Anjunadeep:06 compilation this year, which is shaping up to be a real highlight. 6. Eric Prydz and Above & Beyond are trapped in a burning building. You can only save one, but who? Above and Beyond are three people, so I think I’d have to save three instead of one. Sorry Eric! My thanks to Daniel for the interview. The two new tracks are an Eric Prydz remix but first the new single with Bipolar Sunshine, I Got What You Need (Every Night). As Daniel said in the interview, this is a vocal version of his track Every Night. That was languid house. This feels more uptempo and the vocal is the centre of the track, whereas in the original it was ancillary to the tune. A very summery tune but somehow less substantial. I’m a big fan of Eric’s humungous Pjanoo but I find the rest of his stuff too often reaches for cheap peaks and cheaper synths. Liberate is, frankly, not breaking the template. But in Lane 8’s hands it becomes a monster. It’s also very clever. At one level, not much seems changed but in giving it a bit of a slinky bass line and space to breathe, it gains an epicness in the piano break that the original lacks. This deserves to be bloody massive. ~ by acidted on July 7, 2014.